The Symposium on Recent Advances in Otitis Media has become an institution in its own right and is today the world's most authoritative scientific forum on otitis media. Its great influence is due to its long-term focus on the presentation of new research data, recognition of fruitful new research opportunities, and the cultivation and support of promising new investigators. During this Seventh Symposium, over 300 papers were presented and 3 Mini Symposia, with 12 additional lectures highlighting the major research advances in the area of vaccine development, antibiotic resistance and molecular pathogenesis. 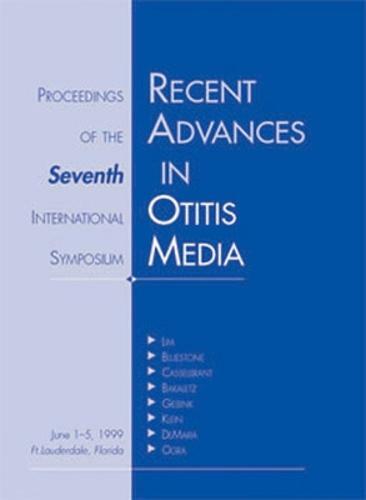 By disseminating the information from the meeting, "7th International Symposium on Recent Advances in Otitis Media with Effusion" provides a cohesive view of the present status of otitis media research. Having Nasal Surgery? Don't You Become an Empty Nose Victim!